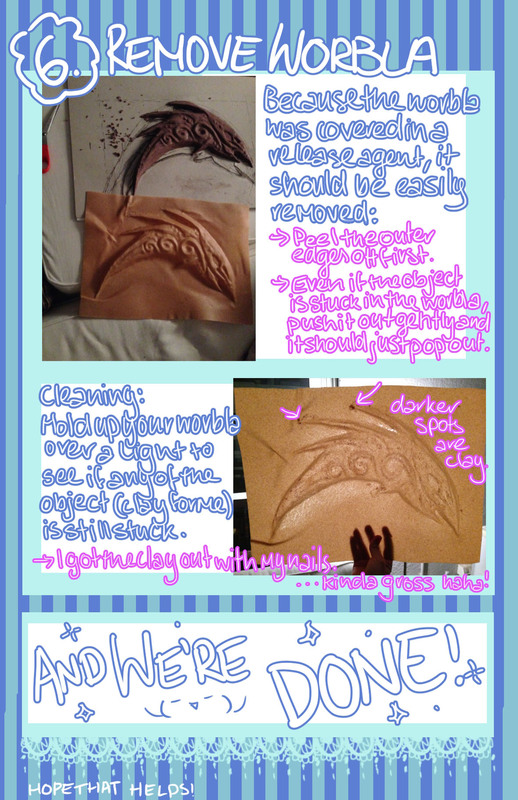 Taigakunn created this tutorial to explain how she uses clay and Worbla to cast pieces for her League of Legends Karma costume. This is an especially useful technique if you want to keep your piece as lightweight as possible, as it doesn’t require layering Worbla to achieve depth. Click each image to have it open full size in a new window. Many thanks to Taigakunn for sharing her tutorial with us.